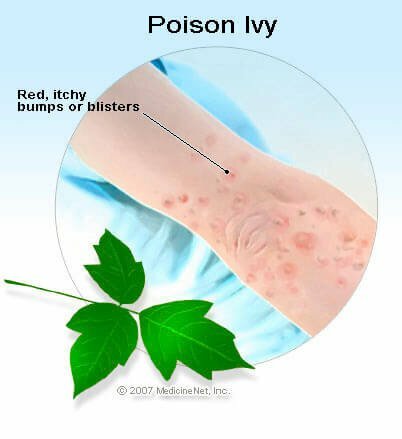 Poison ivy (Toxicodendron radicans — eastern poison ivy/Toxicodendron rydbergii — western poison ivy) typically grows as a vine or shrub, and it can be found throughout much of North America (except in the desert, Alaska, and Hawaii). It grows in open fields, wooded areas, on the roadside, and along riverbanks. It can also be found in urban areas, such as parks or backyards. 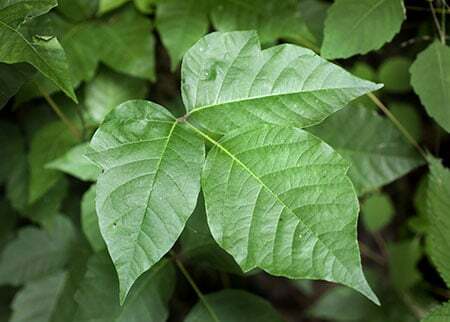 Poison ivy plants typically have leaf arrangements that are clustered in groups of three leaflets (trifoiate), though this can vary. 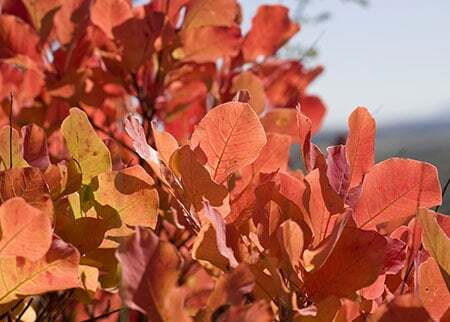 The color and shape of the leaves may also vary depending upon the exact species, the local environment, and the time of year. The plant may have yellow or green flowers, and white to green-yellow berries, depending on the season. 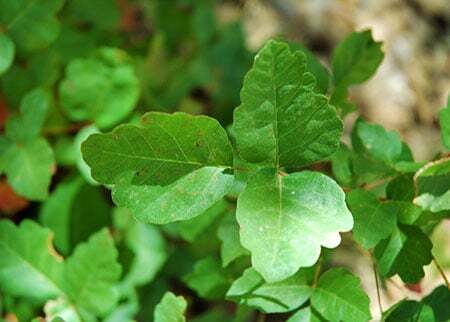 Eastern poison ivy typically grows as a hairy ropelike vine, whereas western poison ivy tends to grow as a low shrub. to the site of the eruption to drenching the skin in gasoline. the site for two to three weeks. The rash (an allergic contact dermatitis) can be caused by direct contact with urushiol by touching the plants or by indirect contact with the plant oil that may have contaminated a pet’s fur, tools, clothing, or other surfaces. Airborne contact is also possible if these plants are burned and the urushiol particles land on the skin, and it can affect the lungs as well if the urushiol is inhaled. 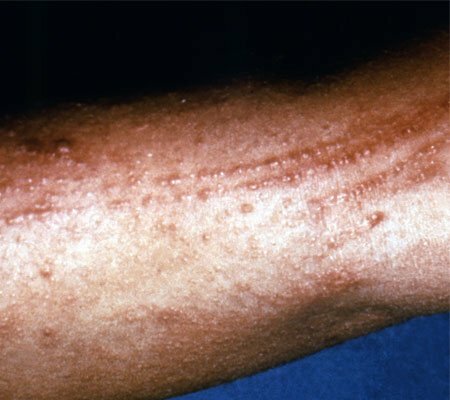 In the United States, Toxicodendron dermatitis is the most common cause of contact dermatitis. The rash may appear bumpy, streaky, linear or patchy, and it will affect the areas that have come into contact with the oil resin. Areas that have been exposed to a larger amount of urushiol may develop the rash more quickly, and the rash may appear more severe. In some instances, new lesions may continue to appear for up to two to three weeks. One can spread the rash to other parts of the body if one’s contaminated hands (with the oil resin) touch other areas. The fluid that sometimes oozes from the blisters does not contain urushiol and therefore does not spread the rash, and other individuals who touch this fluid will not develop the rash. In order to spread the rash to someone else, they must directly come into contact with the oil resin. Generally speaking, the rash slowly improves and disappears after one to three weeks in most individuals. Overall, the symptoms may range from mild to severe. Rarely, in extreme cases, an anaphylactic reaction can develop. Carefully remove these plants if they are growing near one’s home. Be sure to wear protective clothing and gloves. American Academy of Dermatology. “Poison Ivy, Oak, and Sumac: Overview.” <https://www.aad.org/public/diseases/itchy-skin/poison-ivy-oak-and-sumac#overview>. United States. Centers for Disease Control and Prevention. “Poisonous Plants.” July 7, 2016. <http://www.cdc.gov/niosh/topics/plants/>.